Today President Trump decided to finally break silence on the case! Trump and Barr have been supporters of each other for years. Trump called her up when “Roseanne” drew record ratings for its premiere in March. So that’s why there was speculation that he might weigh in on the show’s demise. 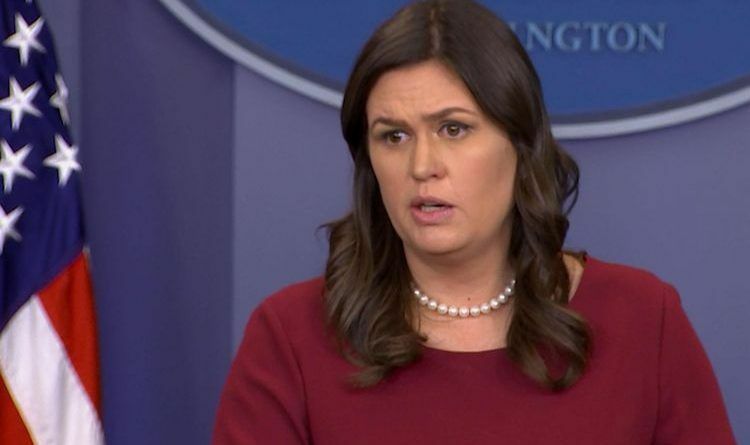 White House press secretary Sarah Sanders doubled down on President Trump’s suggestion that he is owed an apology from Disney CEO Robert Iger, who had recently apologized to Valerie Jarrett for Roseanne Barr’s racist comment about her. “Has the president spoken to Roseanne Barr, who we know has been a longtime friend of his? Why did he choose to address the ABC apology instead of the underlying issue of concerns about a racist comment that she tweeted out?” a reporter asked. How about Bill Maher who constantly calls the President an orangutan… Only white people can be called apes? That’s racist. They used to call George Bush “Chimpy.” They’re going way over the top to destroy Roseanne and turning a blind eye to their own.